Being a military spouse comes with challenges, but there are also some great benefits. You can travel the world, meet amazing people, and get excellent health coverage. TRICARE can be a challenging system to navigate at times, but it will save you loads of money on necessary treatments. The best way to learn about your coverage is to explore the system and ask lots of questions. I know I've been surprised many times by the things that are covered under my plan. As a caveat, you should always review your TRICARE coverage before you jump into using any of these services. In many cases, you will need a referral or a prescription to make full use of these offerings. Plans change over time, and there are a few differences between Select, Prime, and related plans and programs. Visit their website or give them a call to determine your eligibility. Caveats aside, here are five of the most helpful money-saving (and potentially life-saving) benefits I have learned about during my years as a TRICARE beneficiary. Have you ever been torn between going to the doctor or riding out an illness? I am definitely someone who avoids medical facilities at all costs. Last year, I decided to wait out an illness. After about three days of suffering, I called TRICARE's Nurse Advice Line. That line is staffed 24/7 by RNs who can help you assess whether you need to see a doctor. This benefit is free and available to most TRICARE beneficiaries. It took the nurse telling me to see the doctor within the next eight hours to convince me that I had a potentially serious problem. The Nurse Advice Line can help you determine the best course of action based on your condition, which can save you an unnecessary trip. It can also keep you from being stubborn like me and causing yourself bigger (and more painful) problems down the line. Talking to a real nurse beats Googling your symptoms and speculating about what rare disease you or your loved one may have any day! That number is 1-800-874-2273 (option 1), by the way. I've had to wear glasses since 6th grade. Spending my days and nights reading and working at a computer isn’t doing my eyes any favors. Before my husband joined the military, I had a job with great insurance benefits. As a freelancer, I worried that I would have to do without new glasses for a while. For some reason, I thought that vision, like dental, was not covered under my TRICARE plan. (You can get dental, by the way. It's just a separate add-on.) I was saving up to plop down a few hundred bucks for new glasses and an exam, when I decided to look (no pun intended) at my plan more carefully. I was pleased to find that I am able to get my eyes checked once per year as an Active Duty family member. Depending on what is affecting your vision, TRICARE may also pay for your glasses. Contact lenses and the contact lens exam are not covered, but I was more than happy to pay for those options with the money I saved on the rest of my optometry needs. Babies are adorable and expensive. For couples who are adding to their family, TRICARE covers all medically necessary care related to pregnancy. What I didn't realize was they also help new mothers access breast pumps and supplies for free. TRICARE pays for many of the products offered by 1 Natural Way, a company that carries some of the most highly regarded breastfeeding supplies on the market today. They're your one-stop shop for popular breast pump brands such as Medela, Spectra, and Kiinde. The best part: all models, including the Medela Freestyle, Spectra S1 Breast Pump, and the Medela Pump in Style Tote/Backpack are covered at no out-of-pocket expense to you. 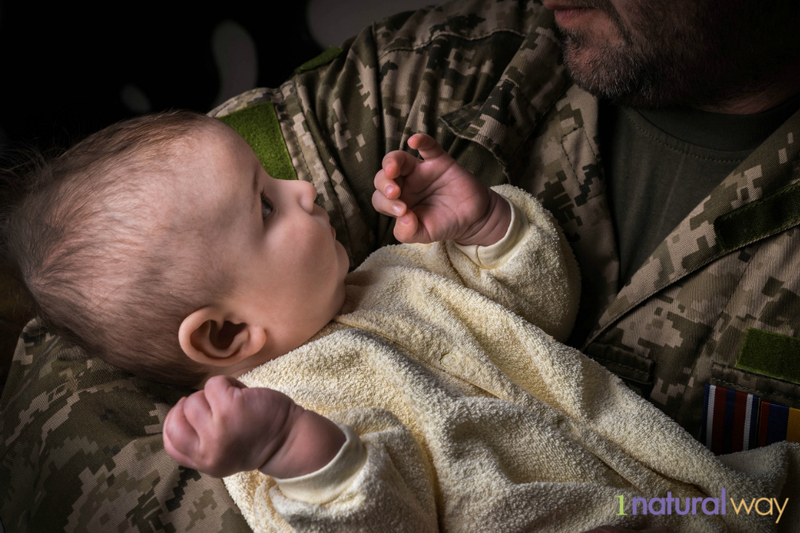 1 Natural Way has plenty of experience supporting military families, so they understand how to work with TRICARE. You can visit their website to find out if you qualify for their products in less than three minutes. They've streamlined the process of getting your supplies so that you can focus on the important stuff, like taking care of yourself and your baby. I don't know about you, but I'm a big fan of cutting the hassle out of any and all medical-related interactions. When the baby is born, it's pretty common for the little bundle of joy to get all the attention. It's easy for us to forget that mamas need a little extra love and support during and after pregnancy. One of the things that I find so awesome about this company is that they also offer an array of products to help mothers during post-partum recovery. With a prescription from your PCM, you'll have access to postpartum garments, postpartum care supplies, and compression socks. Here's to helping make mom's recovery go more smoothly! I'm a huge proponent of asking for help when you need it, but unfortunately lots of people don't get the mental health care they need because of stigma and cost. The stress of military life can bring on or exacerbate mental health conditions, and if left untreated, these illnesses can severely damage lives and relationships. Many insurance plans do not cover eating disorder treatment and substance abuse disorder treatment. I know people who have given up their life-savings to put their child through drug rehab, and I have seen eating disorder patients suffer because they weren't able to afford in-patient care. In-patient rehab and ongoing treatment can cost thousands of dollars. For some of these disorders, it takes an entire team of professionals to help a person return to a healthy state. Paying for all that out-of-pocket is just not possible for many people. Fortunately for us, TRICARE gives our military families the option to get help. Military life can be stressful enough, but sometimes life throws us a curveball, and we get really sick. Many Active Duty families must care for aging dependents or family members with chronic health care problems that require support from medical professionals. You don't know how many times I've heard about spouses either taking care of a sick in-law or having to undergo major surgery while their husband or wife is deployed. Sometimes the needs of the mission mean that the service member can't come home to help. If a dependent has been receiving treatment in the hospital for at least three consecutive days and requires medically necessary ongoing treatment, you may benefit from the assistance of a Skilled Nursing Facility. Skilled nursing facilities are not the same as nursing homes or assisted living, but they can provide extra support, administer medications, and provide for the needs of the patient while they are convalescing. You may also be able to get access to home healthcare nurses through your insurance. This TRICARE benefit can save you thousands of dollars, and it can help you or your loved one return to health. I hope you've learned something about your coverage that could help you or another military family now or in the future. It’s amazing what you can find by doing a little digging. If you're interested in using any of the benefits on this list, be sure to get in touch with TRICARE to make sure that you take the appropriate steps to access them. Oftentimes, getting a referral or prescription from your PCM (primary care manager) can open up a world of benefits to you. Have you discovered an awesome money-saving TRICARE benefit that you think military families should know about? Tell me about it in the comments below. Special thanks to our generous sponsor, 1 Natural Way.